Fair Trade – PPUMC holds a Fair Trade Sale each month, usually on the first Sunday of the month (check the Calendar for exact dates). Items are for sale during Coffee & Conversation — from 9:30-10:00 am and again from 11:00-11:15 am — before and after the worship service. Fair trade chocolate and tea, coffee from Honduras, and items produced by cooperatives in India are examples of some of the items that you might find for sale. Minnesota Foodshare – PPUMC collects food shelf donations that are brought to the Glendale Share and Care Food Shelf for distribution. Habitat for Humanity – PPUMC, along with St Frances Cabrini and St Cecilia churches, comprise Tres Iglesias. These neighborhood churches have worked together since 1992 on a variety of building projects in the Twin Cities area. 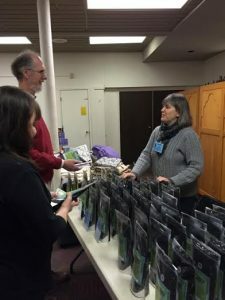 Congregations Caring for Creation: Minnesota Interfaith Power & Light – PPUMC is connected with this organization that provides resources for living a Green and Sustainable lifestyle. As Christians, we want to take steps toward being faithful stewards of creation. UMC on Relief (UMCOR) – As a United Methodist congregation, we participate in special offerings and fund-raising events for UMCOR directed projects.